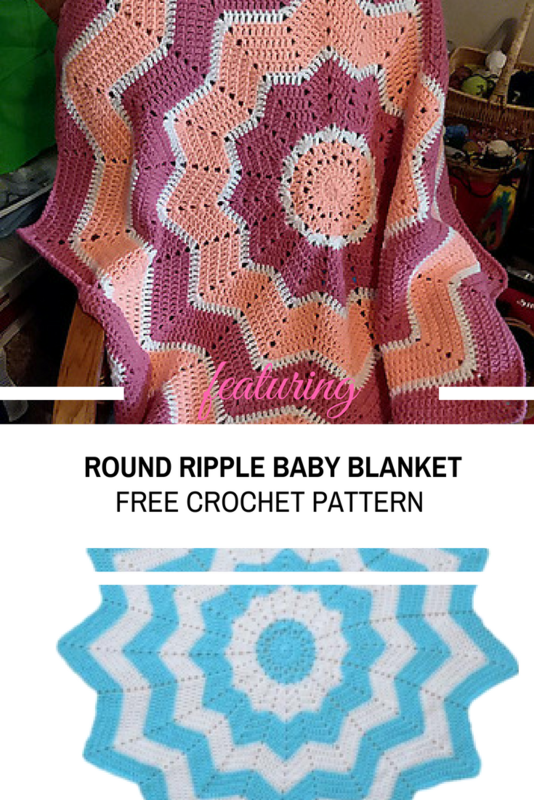 This circle shaped ripple baby blanket is cute and fun and easy to make. If you know how to make a cinch circle, then crocheting the Sunburst Baby Blanket by Jayda InStitches is really easy as this is the most special stitch you will use. If you don’t know how to make cinch stitch or the magic circle, this video tutorial is going to be really helpful. Either way, this precious round ripple baby blanket works up quickly, it’s easy and is a perfect gift to give. Get the full written pattern here: Sunburst Round Ripple Baby Blanket Free Crochet Pattern. Thanks to Jayda InStitches for the article inspiration and featured image.